It’s a brute tool, but a good enough place to start. 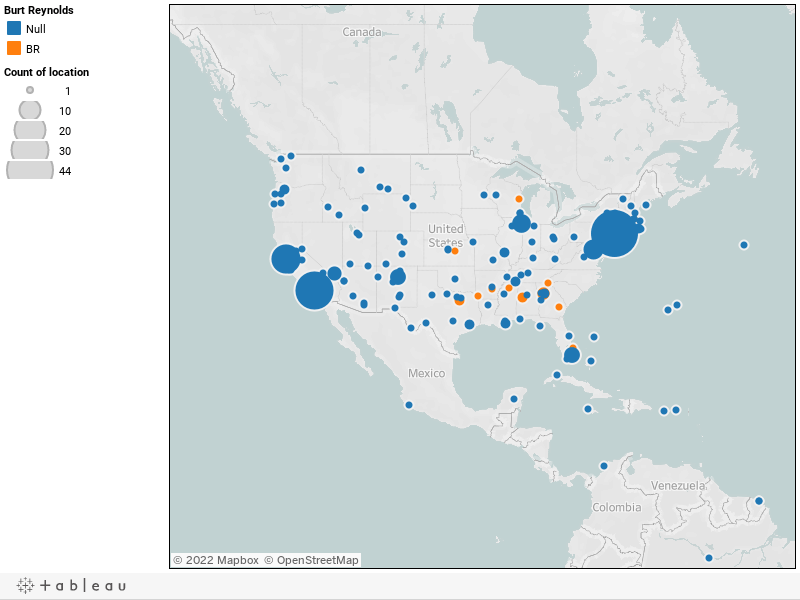 Here’s a hacked-together map of the narrative locations of the films in the Top 20 box office returns from 1970-1981. This little bit is a zoom on the South, especially the “New South” region. Burt Reynolds films are, like the legend says, colour-indicated. The next step (to come one of these days) is to provide dates/periods for the other New South-set films. Here’s the preview: most of the other films in the region take place between 10 and 30 years in the past. I could stretch the map’s time frame into the mid-80s without any significant change to the map. The contemporary New South was a strange sight on American (hit) movie screens.